CENTRAL BANK OF INDIA Vs. M. SETHUMADHAVAN and ORS. Respondent: M. SETHUMADHAVAN and ORS. KURIAN, J. 1. Leave is granted in SLP(C) No. 28329 of 2012, SLP(C) No. 30323-30350 of 2012, SLP(C) No. 6468 of 2014, SLP(C) No. 28332-28362 of 2012 and SLP(C) No. 26473 of 2012. 3. 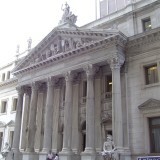 The dispute is on the question as to whether the appellants are justified in fixation of cut-off date for the payment of gratuity. The pay had been revised with effect from 01.07.1993. However, in the matter of gratuity, it is stipulated that the benefit of revised pay for the purpose of calculation of gratuity will be available only in the case of those retired after 31.10.1994. In other words, in the case of those who retired prior to 31.10.1994, the calculation of gratuity will be on the basis of the pre-revised pay. It is the case of the appellants, since they are offering better terms, in the sense that gratuity is calculated at the rate of one month’s pay as against 15 days’ pay under the Payment of Gratuity Act, 1972, they are also justified in fixing the cut-off date. 4. Umpteen number of judgments have been cited before us for the justification and rationale behind fixation of a cut-off date. The celebrated Constitution Bench Judgment in D. S. Nakara Vs. Union of India, reported in (1983) 1 SCC 305 has been cited to finally contend that in any case, the appellants are not bound to pay the arrears even if the calculation goes in favour of the respondents. 5. We find that during the pendency of the matters before this Court, a Full Bench of the High Court of Kerala, having regard to the divergent views taken by Division Benches of the said Court, has considered this issue, leading to the Judgment dated 03.03.2016 in O.P. No. 20427 of 1997 (F) along with O.P. No. 3489 of 1997 and it has been held that fixation of cut-off date for extending the benefit of gratuity from a different date as compared to revision of pay-scale can neither be said to be arbitrary, discriminatory or violative of Articles 14 and 16 of the Constitution of India. The Full Bench has also placed reliance on the decisions of this Court in State Government Pensioners’ Association and Ors. Vs. State of Andhra Pradesh, reported in (1986) 3 SCC 501, State of A.P. Vs. A.P.Pensioners’ Association, reported in (2005) 13 SCC 161 and State of Bihar Vs. Bihar Petitioners’ Samaj, reported in (2006) 5 SCC 65. 6. We also find that the High Court of Gujarat and Madras also have taken a similar view. However, the High Court of Karnataka has taken a different view in the Judgment dated 25.05.2012 in Writ Appeal Nos.1758- 1785 of 2003 (S-RES) & other connected matters. The High Court, in the said Judgment, has taken the view that the classification adopted by the appellants will not stand the test of Article 14 and hence, a direction has been issued for disbursing the benefits with 6% interest with effect from 23.06.1995. 7. Having heard Mr. Jaideep Gupta, Mr. Dhruv Mehta and Mr. Adarsh Dial, learned senior counsel and other learned counsel on behalf of the appellants as well as Mr. M.K.S. Menon, learned senior counsel and other learned counsel appearing for the retired employees in other cases, we are of the view that having regard to the long drawn litigation for almost a quarter of century, the issue should be given a quietus, settling the question of law but protecting the interest of the litigants in these cases. 8. Fixing of cut-off date has been a well accepted principle and we do not find that the same needs to be supported by any Judgment since it has been the consistent view taken by this Court. In State of Punjab & Ors. Vs. Amar Nath Goyal & Ors. (2005) 6 SCC 754, which was subsequently followed in Government of Andhra Pradesh & Ors. Vs. N. Subbarayudu & Ors., reported in (2008) 14 SCC 702, this Court has referred to all the judgments in that regard. In the peculiar facts of this case, having regard to the background of the regularisation making process, we are of the view that the cut-off date fixed by the appellants in the regularisation was not arbitrary, unjust or unfair. 9. 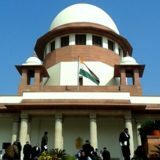 However, having regard to the fact that the retired employees before this Court have been fighting for around quarter of a century and taking note of the fact that they are only a few in number, we are of the view that this is a fit case to invoke our jurisdiction under Article 142 of the Constitution of India. We, therefore, direct that the appellants Banks shall pay an amount of Rs. 2,00,000/- (Rupees Two Lakhs) in full and final settlement of all their claims including the expenses which they have incurred for litigation for more than two decades. The amount, as above, shall be paid within eight weeks from today. 10. We make it clear that as far as the civil appeals arising out of Writ Appeal Nos. 1758-1785 of 2003 (S-RES) & other connected matters are concerned, the benefit, as above, shall be limited to those persons, who were in the party-array before the High Court and whose names had already been furnished to the High Court when the writ petition(s) was/were considered by the High Court, and a certificate from the High Court shall be obtained for that purpose. Tags: Central Bank of IndiaCIVIL APPEAL NO. 1975 OF 2010KURIAN JOSEPH R. BANUMATHIM. SETHUMADHAVAN and ORS.